Here are some Frequently Asked Questions about Beaute Pacifique. WHY SHOULD I CHOOSE BEAUTÉ PACIFIQUE? Beauté Pacifique is a scientifically proven skin care range. The Beauté Pacifique patented delivery system has been scientifically proven by the research group at the Department of Dermatology, Marselisborg Hospital, Denmark. With this unique delivery system, the active ingredients, such as Vitamin A Esters, Vitamin E, Vitamin C, Vitamin D, Resveratrol and Procyanidin are able to penetrate deep into the dermis to repair and rebuild the skin. WHAT IS THE BEAUTÉ PACIFIQUE PATENTED DELIVERY SYSTEM? Beauté Pacifique uses a unique transdermal delivery vehicle of atmospheric-sized Squalane oil droplets which encapsulate active ingredients, such as Vitamin A, C, D & E, Resveratrol and Procyanidin, to deliver them directly to the dermis to repair the skin – not just to plump it up. BP uses Squalane oil derived from a specific organic Spanish Olive to capture the active ingredients (including Vitamin A Esters) and deliver to the dermal layer of the skin using their patented delivery system. The effect of this on the skin is that the Vitamin A esters and other active ingredients encourage the skin to actually produce new collagen and elastin itself. DO DERMATOLOGISTS RECOMMEND BEAUTÉ PACIFIQUE? WHY IS VITAMIN A IMPORTANT FOR MY SKIN? Vitamin A has been proven to counteract the free radical ageing process in the skin, and stimulates collagen and elastin production, increasing dermal density – leading to a younger, rejuvenated skin. WHAT FORM OF VITAMIN A DOES BEAUTÉ PACIFIQUE USE? There are lots of creams on the market but when you talk about the most important rejuvenative – pure Retinol – there are lots of side effects, as it is an acid. The cosmetic industry is not permitted to use acid in their products. Vitamin A Retinols will break down the second you open the jar. Beauté Pacifique have unlocked the code to use another safer type of Vitamin A – Esters, not Retinols – so that it will be reversed into acid once inside the skin. With the DermaScan Ultrasound, we can examine the customer’s skin down to the subcutaneous levels to reveal the true condition, structure, density, youthfulness, and damage to the skin at its deepest layers. We can look at the scan and analyse it to find out the cause of why the skin is suffering, so that we can prescribe the correct treatment. It also provides a measure to see how skin improves over time by using our products. We want to make it transparent, with the DermaScan, that our product works. Other big cosmetic companies are also using the DermaScan, but do not make it so freely available to the general public as we do. DermaScan Events are special free events at Beauté Pacifique stockists where you can book an appointment to get your skin scanned using the DermaScan Ultrasound machine and have the condition of your skin assessed by a Beauté Pacifique representative. The Beauté Pacifique Rep will also provide you with specialised recommendations for your particular skin. WHAT DOES THE WORD ‘COSMECEUTICAL’ MEAN? 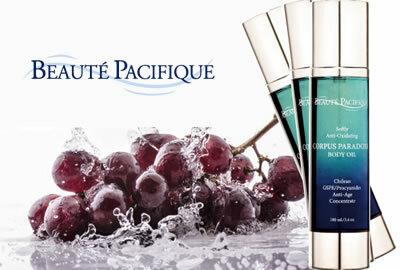 Beauté Pacifique products are classified as cosmeceuticals (or dermacosmetics). The term ‘cosmeceutical’ means skin care products that always fulfill the cosmetic directive, but the effect is closer to the border between cosmetics and medical remedies. WHAT IS UNIQUE ABOUT YOUR PRODUCT? Due to the advanced patented delivery system of Beauté Pacifique creams, this unique technology allows the nanometric Squalane droplets, containing active ingredients such as Vitamin A Esters, Vitamins E, C, D, Resveratrol or Procyanidin, to penetrate deep into the dermis (entire depth of skin) to rebirth the skin in as little as 5 days. HOW DO YOU PROVE YOUR CLAIMS? We confidently use DermaScan Ultrasound, an advanced cosmeceutical technology, which allows us to examine the skin down to the subcutaneous levels to reveal the true condition, structure, density, youthfulness and damage to the skin at its deepest layers, not just the surface. We have seen repeated positive results (with over 1 million scans completed) and clinical studies have supported this. After only days of using Beauté Pacifique treatment creams, we have seen outstanding results, and have glowing client testimonials to prove it. This has made Beauté Pacifique a leading international cosmeceuticals brand. 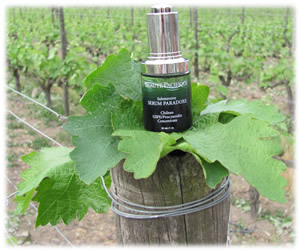 WHAT ARE THE BENEFITS OF USING EXCLUSIVE CHILEAN GRAPES TO EXTRACT RESVERATROL AND PROCYANIDIN? extraordinarily high amounts of Resveratrol and Procyanidin. Beauté Pacifique has an exclusive patent on this most potent ingredient. This means that the highest amounts of these active ingredients are extracted and then bottled to form Crème Paradoxe, to create an anti-ageing solution more effective than any other product. Resveratrol and Procyanidin are natural compounds that are thought to slow the ageing process, reduce sun damage, pigmentation and inflammation, and treat the cause of acne. WHY IS THERE FREE SPACE LEFT IN MY NEW CLEANSING FOAM? When holding your new Beauté Pacifique Cleansing Foam against the light, you might notice some free space in the tube. The explanation is that the product foams while being produced. And the product still foams when being filled onto the tubes. Over time, the product shrinks in volume but not in weight and then it gets the desired final consistency. Please note that the right amount/weight of product is present in the tube, and specified to be no less than 125 g in total of both the tube and the product. WHY IS IT DIFFICULT TO APPLY THE D-FORCE CREAM? It is a good idea to “warm up” the cream between your fingertips before applying it. By doing so, the cream will become smoother, much lighter textured and easy to apply. ARE BEAUTÉ PACIFIQUE PRODUCTS SAFE FOR ALL AGES? Beauté Pacifique is safe to be used on all ages, from newborn to mature adult. ARE BEAUTÉ PACIFIQUE PRODUCTS TESTED ON ANIMALS? No Beauté Pacifique product is ever tested on animals. ARE BEAUTÉ PACIFIQUE PRODUCTS NATURAL? Beauté Pacifique realises that the most common allergies in the skin are derived from nature. Also, due to seasonal and outside influences, the stability and quality of natural ingredients is unstable. Therefore, we do not claim to be a “natural” product. Instead, we take the best elements from nature and the finest ingredients, and cleanse them in a clinical environment, under strict European Government regulations. DO YOU USE PRESERVATIVES IN YOUR RANGE? At Beauté Pacifique, we use organic preservatives to keep our products sterilised and to keep the active ingredients intact. All preservatives are positively government-approved for use in our products, and carefully selected for their level of safety. DO THE PRODUCTS CONTAIN FRAGRANCE? We add fragrance to some of our products because we believe that a nice fragrance is a benefit and adds value to the product. The Beauté Pacifique products are tolerated by almost everyone. Our mission is to help anybody who wishes for a better skin – and therefore, it is important that our products have both the desired effect and are free of unwanted side effects. There is much talk about possible allergy problems through the use of perfume. Therefore we design our perfumes very carefully, so we avoid using the 26 allergy-risk fragrance ingredients listed by the EU. Our products are developed in close collaboration with dermatologists, and these dermatologists all support that we can safely add scent to our products. ARE THERE MANY ALLERGIC CONDITIONS INFLAMED BY USING THIS PRODUCT? In many cases, Beauté Pacifique products are even safer than naturally occurring remedies. The 5 biggest allergic reactions are, in fact, to natural products. It is a fact that most allergies are caused by natural substances, such as pollen, nuts, shrimp, milk, flour, lemon, orange, lavender, tomato, essential oils and contact with animals such as dog, cat, bird and horse. Beauté Pacifique products are safer, as we find the best in nature, synthetically copy it and clean it until perfectly stabilised. Denmark, where they are manufactured, is one of the strictest countries in the world regarding their healthcare guidelines. Beauté Pacifique is made in Denmark in Beauté Pacifique’s own medical laboratory, according to strict pharmaceutical protocols. The lab also produces medicines, so is highly controlled. Beauté Pacifique products contain no parabens* or preservatives, so are safe to use. * An exception to this would be the Deep Pore Mask, which contains specific clinically produced parabens that ensure the stability and preservation of the essential clay ingredients, and “Crème Solaire” sun screen. IS IT OKAY TO GO OUT IN THE SUN WHEN I USE A CREAM WITH VITAMIN A? The type of Vitamin A used in the Beauté Pacifique products are Vitamin A Esters. Encapsulated in droplets of Squalane, the Vitamin A Esters can penetrate deep into the skin, where they are transformed into Retinol by the skin’s own biology. Vitamin A Esters do not make the skin thin and more sensitive to light exposure. You can therefore use Beauté Pacifique Vitamin A products in both summer and winter – and you can stay outside as usual. In any case: remember to always use a sunscreen, when you stay out in the sun. DO THE PRODUCTS CONTAIN SUNSCREEN? Several of the Beauté Pacifique products contain a small amount of organic sunscreen. The idea is to give the user a daily basic protection against UVB rays. The UVB rays can reach the second layer of the skin – the dermis – where they cause both immediate and long-term damage, including premature ageing to the tissue. In fact, 65 percent of skin cancer cases are related to UVB rays. At Beauté Pacifique, we always use one of the very few sunscreens that are pre-approved and listed for the purpose by the authorities. You might wonder why we add sunscreen to Crème Métamorphique, which is mostly used as a night cream. Like most of the Beauté Pacifique products, the Crème Métamorphique has multiple applications (e.g. many bald men use Crème Métamorphique on the head to strengthen the skin). And, as observed from clinical observations of Dr Uffe Gjede, Crème Métamorphique has been said to help protect skin against the re-occurance of solar keratosis, an application used by many users. Should I still use a sunscreen product? Yes. We recommend that you use a sunscreen with a high SPF on top of your Beauté Pacifique cream, when exposed directly to sunlight for a longer time, and particularly between 12 and 3 pm. Also use normal “sun safe” practices of covering up, and having regular skin cancer check ups. IS IT OKAY TO USE THE PRODUCTS IF I AM PREGNANT OR BREAST-FEEDING? Pregnant or breast-feeding women often ask us whether it is okay to use Beauté Pacifique products in this important stage of their lives. All Beauté Pacifique products comply with the comprehensive legislation that regulates in detail which ingredients you may use in cosmetics – and in which quantities. So you can safely use all our products when pregnant or breast-feeding. However, even if you are allergic to certain fragrances, you should avoid them – even if you are not pregnant. WHAT SIDE EFFECTS DOES BEAUTÉ PACIFIQUE’S VITAMIN A HAVE? Beauté Pacifique does not use Vitamin A Acids. We use Vitamin A Esters, therefore our products are safe to use during pregnancy and sun exposure, with no adverse reactions. The Vitamin A derivatives we use are: Retinol – the base form of Vitamin A – same as often used in food supplements – a very fragile molecule Retinyl Palmitate – a stable ester form of Vitamin A that the dermal cells can metabolise into Retinol inside the dermis Retinyl Acetate – another stable ester form of vitamin A that the dermal cells can metabolise into Retinol inside the dermis Retinyl Propionate – a third stable ester form of vitamin A that the dermal cells can metabolise into Retinol inside the dermis. Can you use too much or too little of the Beauté Pacifique products? No – in the beginning for the first week – use the products 2-3 times in the week, so your skin can adapt. When the skin is thin, you may feel discomfort. Go slow in the beginning until skin becomes stronger, then you can use more. Is Beauté Pacifique a treatment program that is used for a period of time, or is it a range of products that you would incorporate into your daily skin care routine? You can use Beauté Pacifique safely every day. CAN BEAUTÉ PACIFIQUE PRODUCTS HELP TREAT SKIN CONDITIONS, SUCH AS PSORIASIS, ECZEMA, DERMATITIS AND SUN DAMAGE? 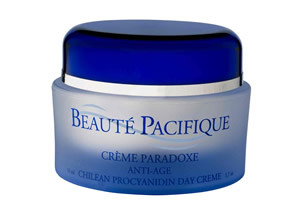 Beauté Pacifique can definitely assist in the treatment of many skin conditions. It makes the skin thicker so it can heal itself! We’ve seen remarkable results with the use of the body lotion, shampoo and tablets. Many times we wash our hair with harsh shampoos which just increase the problem. Our shampoos are gentle and do not aggravate the condition. The use of the tablets in tandem with this can produce amazing results. You can also use the body lotion as a scalp treatment by rubbing into the scalp and leaving overnight. If you use the body lotion all over the body the scalp will be thickened too – it is not confined to one area. The results are just amazing. We have an example of a child with severe eczema who is now totally free of symptoms due to treatment with Beauté Pacifique – all broken capillaries, pigmentation, dry skin is now totally cleared. This really is very powerful stuff. Beaute Pacifique’s treatment creams complement: All anti-ageing skin care regimes Acneic and problematic skin Complement to non-surgical facial enhancement – i.e. IPL/Laser, Light therapy etc Dermatological treatments with specific solutions for all skin disorders, such as sun damage, solar keratosis, eczema, psoriasis, and more. CAN BEAUTÉ PACIFIQUE PRODUCTS PREVENT FURTHER SUN DAMAGE OR CAN THEY ACTUALLY REVERSE SUN DAMAGE? Sun damage on the skin leads to up to 80% higher risk of damage and skin diseases. If you have pre-cancerous cells, you can get them frozen or taken away by surgery. It has been observed by a clinical dermatologist that using Crème Metamorphique can decrease your risk of getting a new attack of skin cancer by 80%*. Crème Métamorphique actually thickens the skin, therefore offering some protection against sun damage. Skin will become thicker, healthier with better collagen and elastin properties, resulting in a noticeably younger-looking skin. CAN BEAUTÉ PACIFIQUE PRODUCTS BE USED TO REMOVE STRETCH MARKS? Stretch marks are caused by collagen and elastin, and the skin tearing apart. Stretch marks can be significantly reduced by Beauté Pacifique products, through thickening the skin and encouraging new collagen and elastin growth. CAN BEAUTÉ PACIFIQUE PRODUCTS PROTECT SKIN AGAINST HARSH CHEMICALS? Yes, they can. Again, the thicker the skin is, the more protected and strong it is. The skin is then better able to resist the effects of harsh chemicals.